BE VERY MINDFUL OF THE TYPE OF SOAPS YOU USE! Use SULFATE FREE body washes that are also DEA free and PARABEN free. Preferably stay away from artificial fragrances that you breath in everyday! Harsh cleansers keep stripping your skin of it;s natural oils and create dry skin which leads to wrinkles! Imagine doing this to your skin daily for years!! This is considered one of the main causes of dry problem skin!!! TOO MANY SHOWERS AND TOO HOT! Don’t take hot showers! It will slowly damage your skin through time. Take warm showers instead and try a cold shower once in a while to tighten skin! Europeans don’t shower everyday ! Really!! PUT MOISTURIZER ON AFTER SHOWER NOT ON DRY FLAKY SKIN! Even if you spend a fortune on a great cream it will not go thru dry flaky skin!! Use a natural scrub in the shower or a scrub glove to remove the top dry skin. Make sure your moisturizer is mineral oil and dimethicone free ! You want a moisturizer that won’t block pores! Best oils to moisturize and nourish the skin are jojoba oil, rosehip oil, safflower oil, sunflower oil, grapeseed oil, almond oil, coconut butter , shea butter etc. Look for those in the ingredient lists. If your skin is very dry, start with butters as it gets better go to a lighter moisturizer such as a lotion. Don’t over moisturize! Let your skin balance as naturally as possible! Remember that quality cosmetics are like ingesting quality foods, in the long run you will appreciate your wise choices!!! 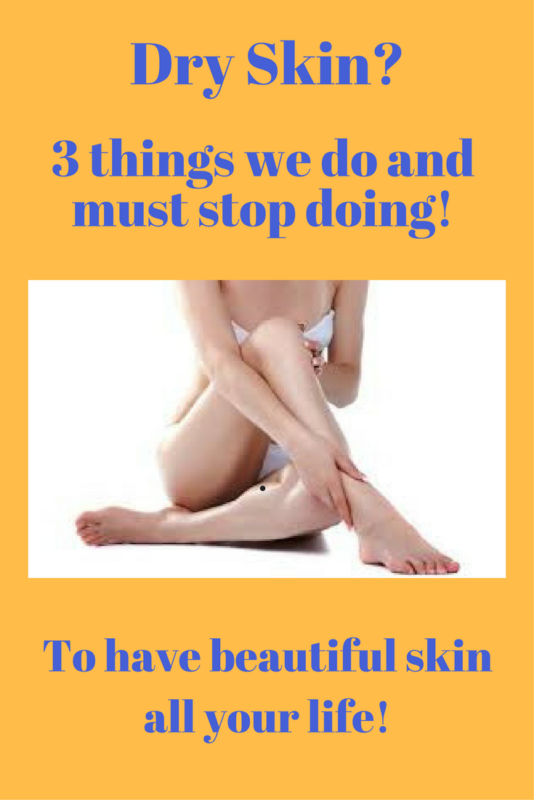 TOP 3 CAUSES OF WRINKLES NO ONE EVER TOLD YOU ABOUT! You have shared excellent information on this page with the outstanding steps to eliminate the dryness from the Sensitive skin of body in a seven days by using the hemp seed oil with the best moisturizer daily according to the period of a time after the recommendations of a doctor and remember the instructions of a doctor which help you to remove this kind of skin dryness disease with the use of best skin moisturizer ,My suggestion is you must go to a doctor one time in a week for starting of proper treatment of eliminating dryness with skin moisturizer appeared on the Sensitive skin of body in a summer season due to the effect of sun rays,keep it in your mind don’t work in the light of sun because the heat of sun with the dust particles in sun rays increase the rough dryness and cracks with lines on the skin due to the demaged of skin layers cells after the working of some time you notice the color of skin become black and cracks with lines are increased on the Sensitive skin of a body this is also a effect of skin cancer . So take care of skin and avoid to work in a light of sun . you also use a mask on the face if necessary to work in the light of sun and also use carrot in the food salad .